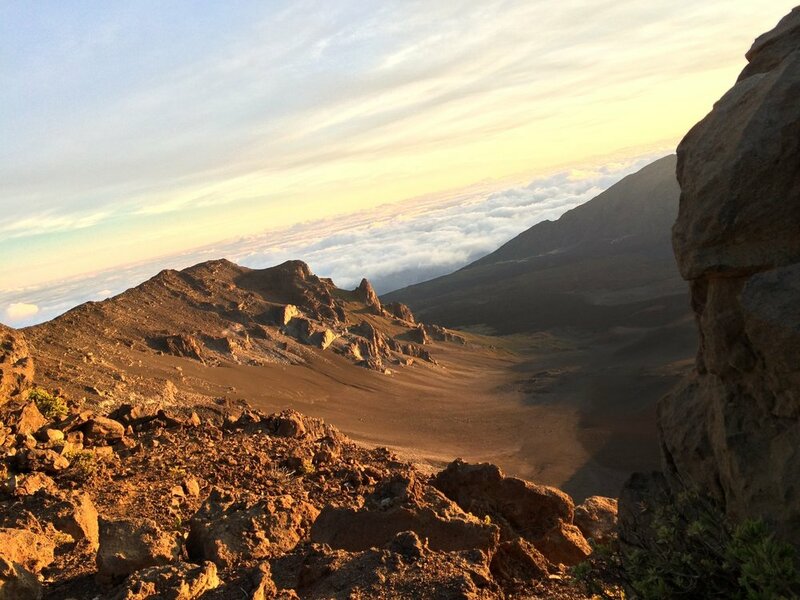 Maui Bike Co. does an amazing adventure trip to Haleakala Volcano. You have to wake up in the middle of the night to head to Haleakala and drive to the top, but it's a great experience! At the peak of this extinct volcano you watch the sunrise from high above the clouds. The clouds and light changes frequently as the sun comes up, changing the shapes and colors of the sky. Bundle up for this experience, it's cold and windy so I recommend bringing a beanie, gloves, and layers. Even if it's 80 degrees at sea level it will be cold at 10,023 feet. The mountain bike tour drives you to the top, then equips you with helmets and bikes to start an exhilarating trip downhill for 23 miles! You can take your time and stop for breakfast along the way. If you're an adventure junkie like me, this is way to do Haleakala! Wai'anapanapa literally means "glistening water." The colors of the crystal blue ocean and lush greenery against the black sand are stunning. You can wander down the coastline to see this beautiful beach, and walk downhill to view the black volcanic sand. Maui Bike Co. does an amazing adventure trip to Haleakala Volcano. The mountain bike tour drives you to the top for sunrise, then equips you with helmets and bikes to start an exhilarating trip downhill for 23 miles! Maui is top 5 of my favorite places. I'm a beach kid from Ventura California, so the ocean is always calling my name. I've now been to Maui 4 times, and there are countless amazing things to do on this beautiful island, but here are my top 5. I just returned from my Maui, one of my favorite islands. The warm waters, the sunshine, the waterfalls, the rainforest, and the poke!